Whilst in House of Fraser the other week I thought I would stop by YSL and pick up another Touche Éclat (Radiant Touch) as my last one had run out sometime ago now. I've always used it under my eyes for dark circle coverage and I was mentioning this to the YSL beauty assistant when to my surprise she advised me that the concealer properties had been removed from this product some time ago and that I shouldn't use it for that - it is only just a highlighter now! Am I the only one who is shocked by this revelation? I have been buying this on and off for years and never knew that...apparently they changed the formula back when they brought out the new extensive colour ranges which I reviewed here in my blog a while back. I don't know if I just caught her on a bad day or if YSL genuinely do not have any concealers in their range for darker skins as I followed this question up with "So...,YSL don't have anything for me then?" and she just shook her head. I thanked her for her "helpfulness" and walked directly over to Bobbi Brown. 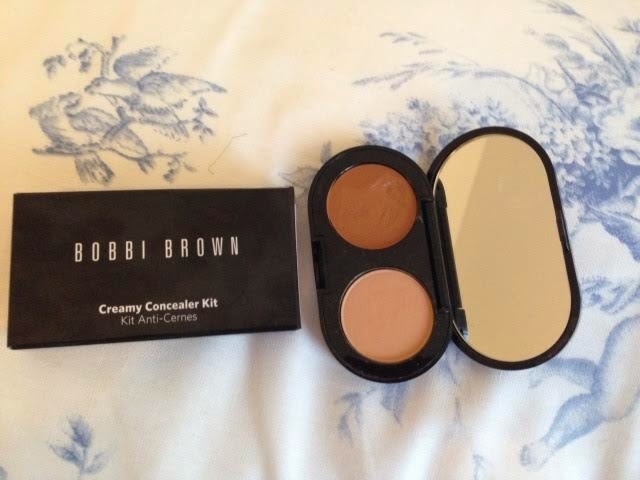 So, at Bobbi Brown, there was a whole range of colours to choose from in their correct and conceal range. I was just going to select the "Corrector" which I have used before when I spotted the "Concealer Kit" (below). The corrector is used for neutralising under eye darkness and 'lifting' and 'brightening'. As it has pink/peach undertones you do need to therefore put either a concealer over it or a bit of foundation to blend the colour in as it far too bright to leave by itself. 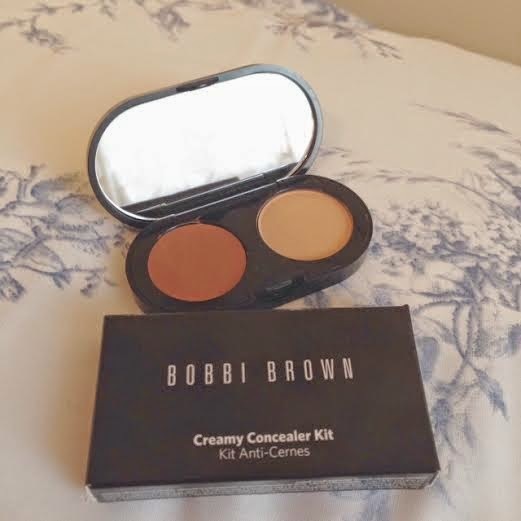 I would have brought this again, however the Bobbi Brown assistant advised that as I didn't have very dark under eye circles, I could get away with just the concealer kit which brightens and lifts the eye area. It also comes with a translucent powder to set the concealer in place. The lady applied this for me in store and I found it to be so quick and easy to apply and gave very good coverage. I also liked the fact that you could set it with the powder, so I brought this one instead. It has a lovely consistency and doesn't 'sit' and crease under the eye - it blends into a smooth line-free finish. As I was walking around continuing with my shopping after, every time I caught myself in the mirror, I was surprised to see how different my face looked. I felt that my face looked fresher (and dare I say it, younger!) and you really could not tell that I had concealer on at all - the match was flawless. The only negative I have with this kit is that would be better if it came with mini applicator brushes. It does have a good sized mirror in the lid which is always a bonus, and of course, the packaging is fab. 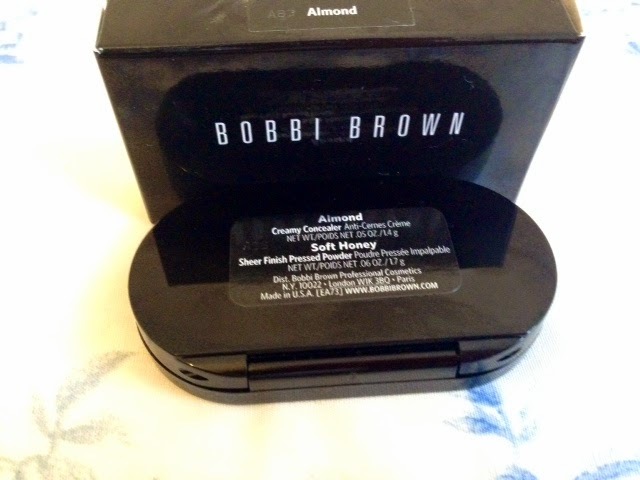 I love the sleek and chic, black and white design of the Bobbi Brown packaging and it always feels sturdy and of good quality. It does cost a few extra pounds more than the corrector, but I was happy to spend this as it does not need any other product over the top of it and for me , does the job all on its own. What concealer do you use?